My requirements for a pleasant restaurant experience include right ambiance, quality and tastiness of food, and friendly efficient service. Blue Plate in Santa Monica offers all of these on a consistent basis. Known for their fresh seafood, the extensive menu doesn't disappoint. I have had excellent food here for both lunch and dinner, although I have yet to try their oysters (shame on me). The patio sits right on Ocean Boulevard across from the Santa Monica Park offering a great environment for casual lunch with friends or a fun date night and they offer blankets at each seat in case of a chilly ocean breeze. 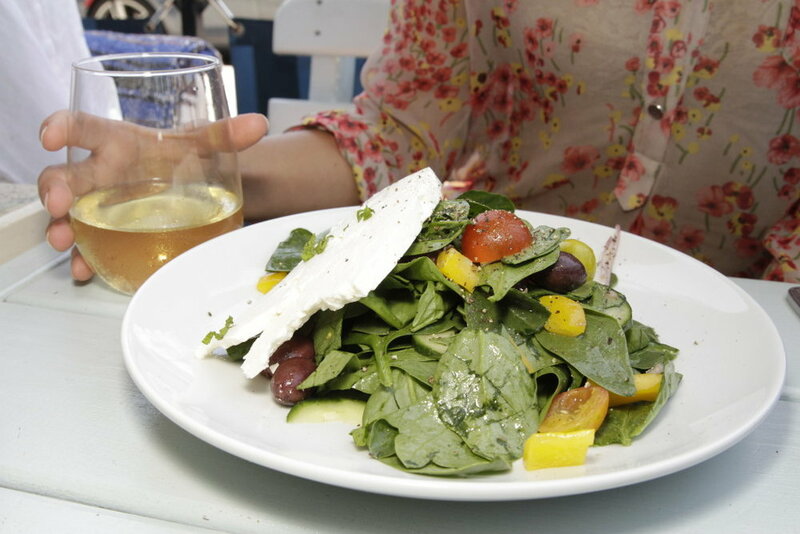 Greek Salad - quality ingredients across the board, fresh sheep milk feta, baby spinach, grape tomatoes, kalamata olives, cucumber & bell peppers dressed so perfectly light that I need not ask for it on the side as I usually would. Ceviche Mixto - I love ceviche and this one is unique enough to make it to my top 5. Calamarie and shrimp, surprisingly spicy with citrus and zest served with two crispy tortilla shells. A must! Lobster Mac & Cheese - One of the classiest mac and cheese dishes I’ve ever had, with large chunks of lobster, perfectly cooked pasta shells and just the right amount of cheesy deliciousness. This calorie loaded delight is best for sharing with multiple friends since although you may be tempted to overload, there won’t be enough to stuff yourself to hog status. I don't have a picture of this because it was dug into right away :) Divine.